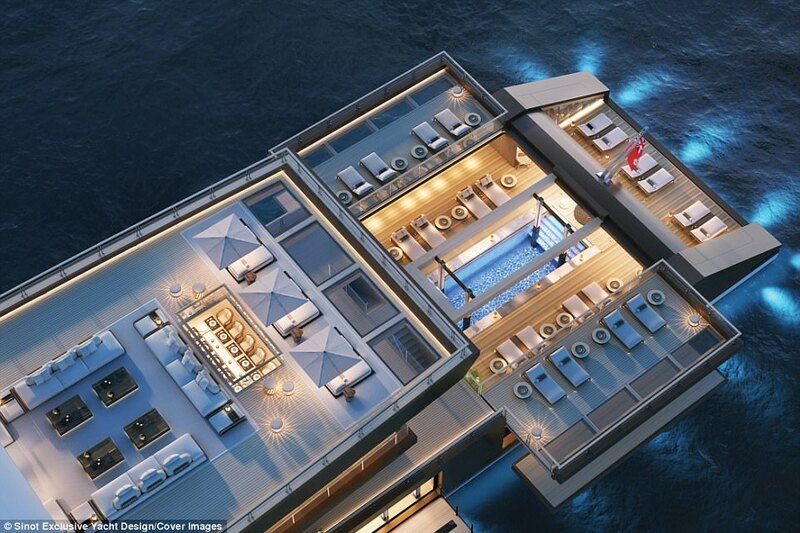 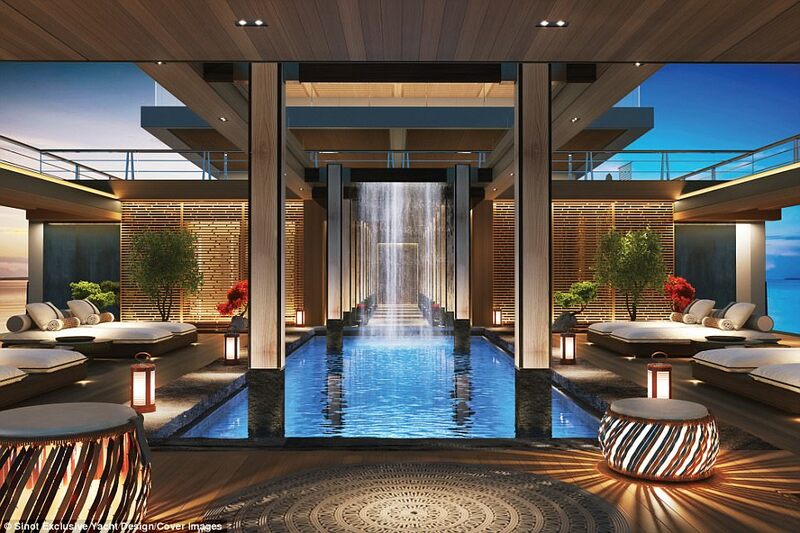 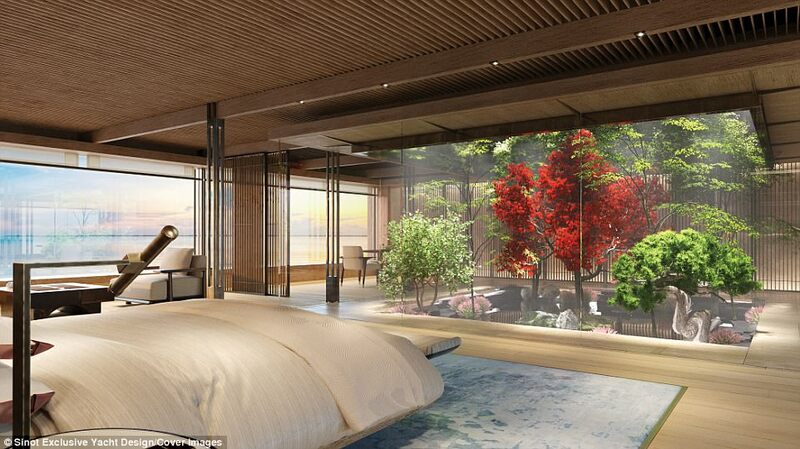 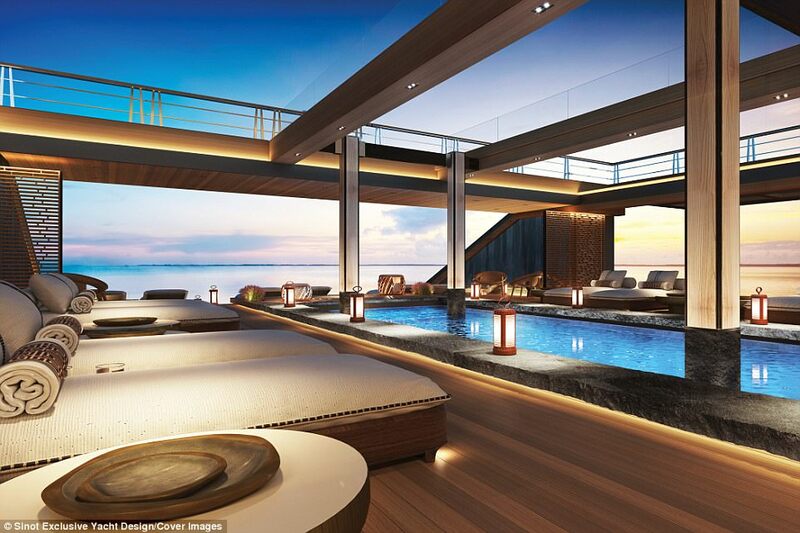 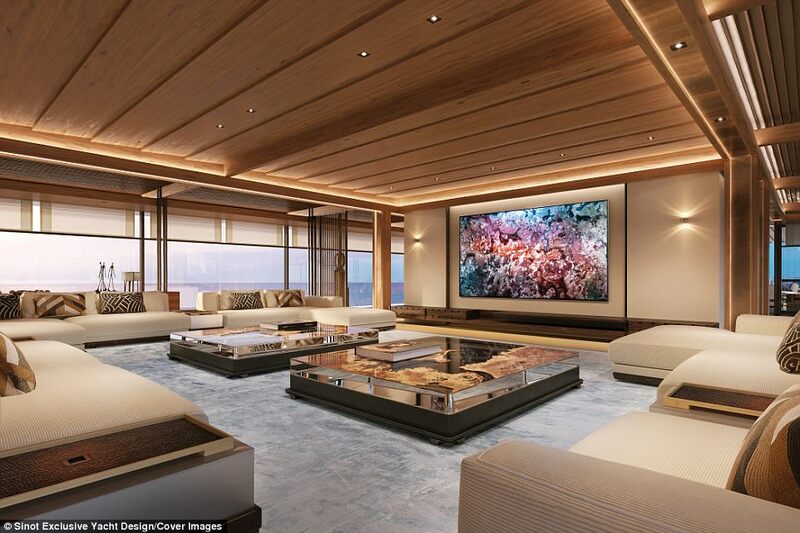 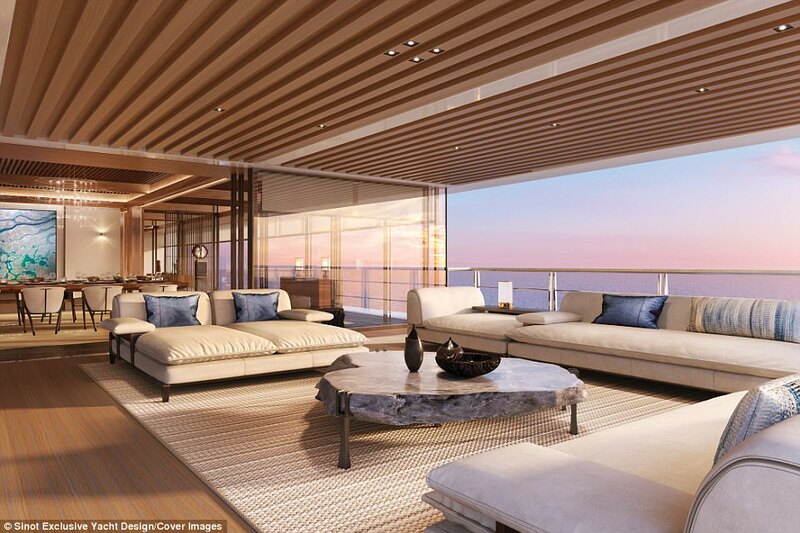 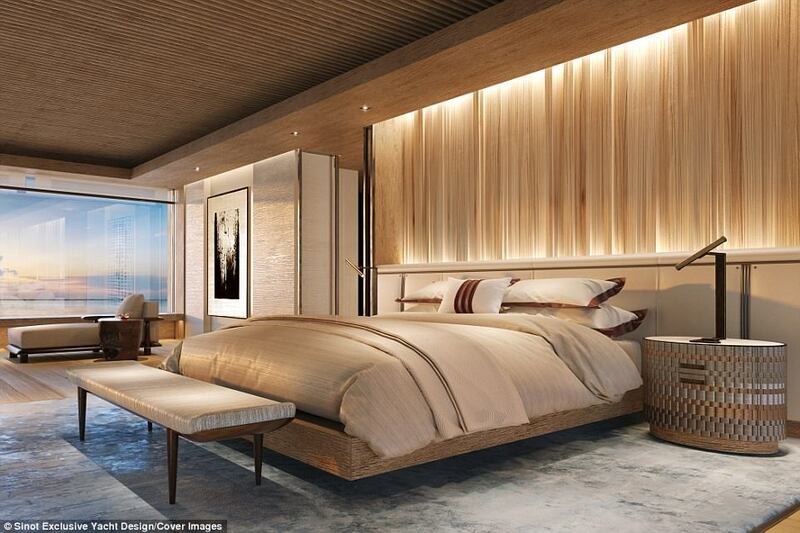 For green-fingered billionaires, a nature-inspired 400ft superyacht has been unveiled at Monaco. 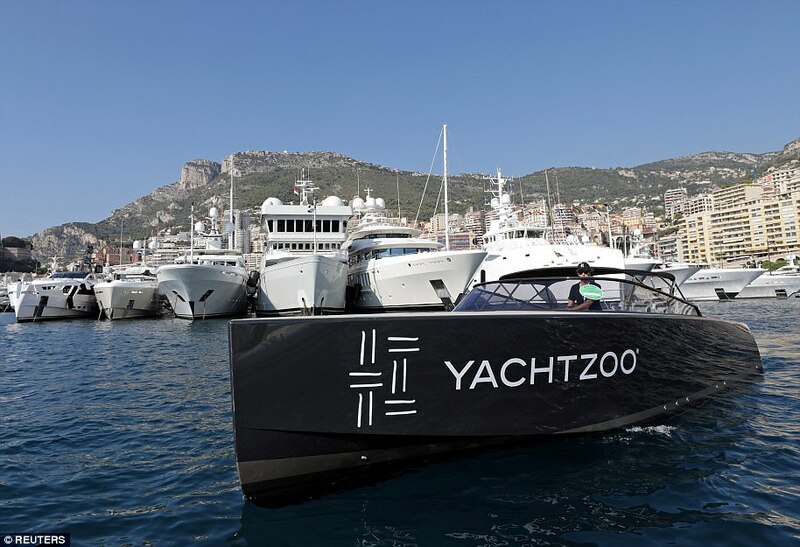 Netherlands-based Sinot Yacht Design went about designing a vessel that allows passengers to experience the natural world while sailing on the high seas. 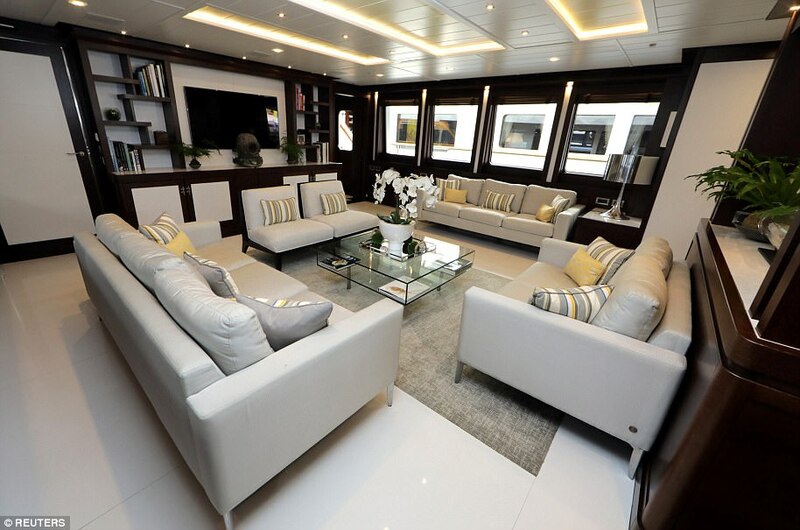 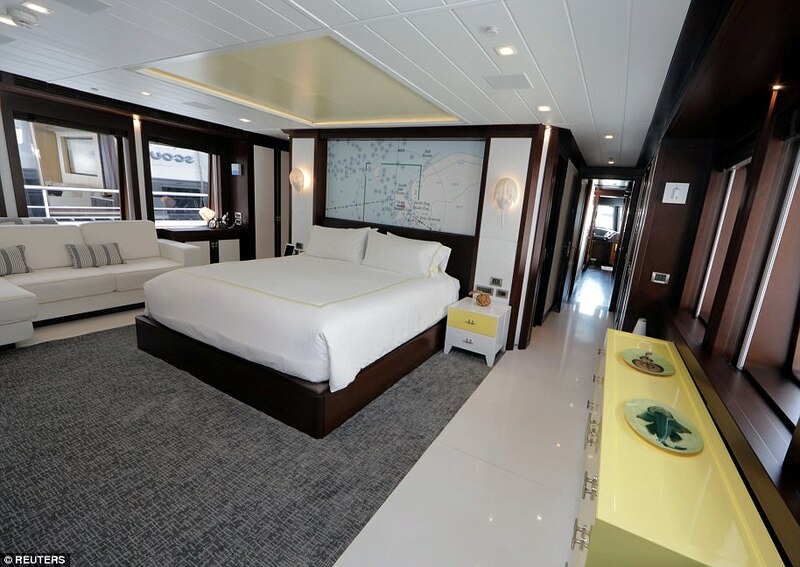 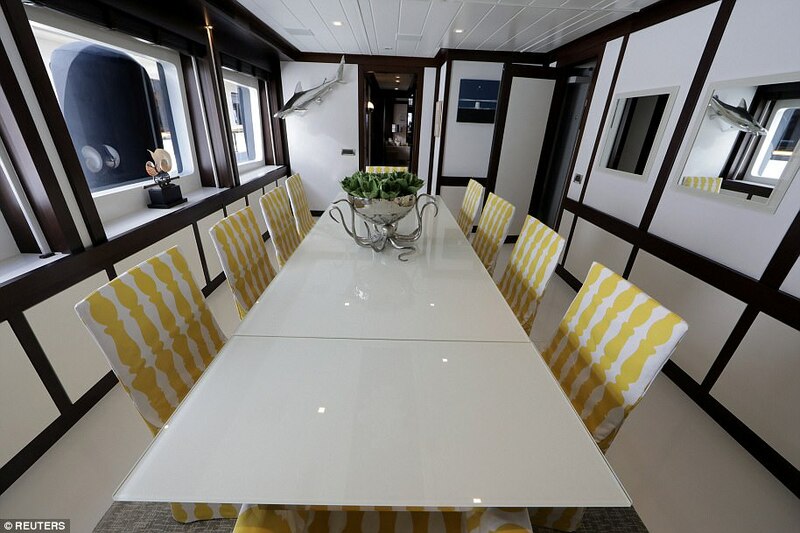 Its 'Nature' yacht concept, which has a crew capacity of 50 and a guest capacity of 18, comes complete with a climate controlled garden with bedrooms looking into the leafy area. 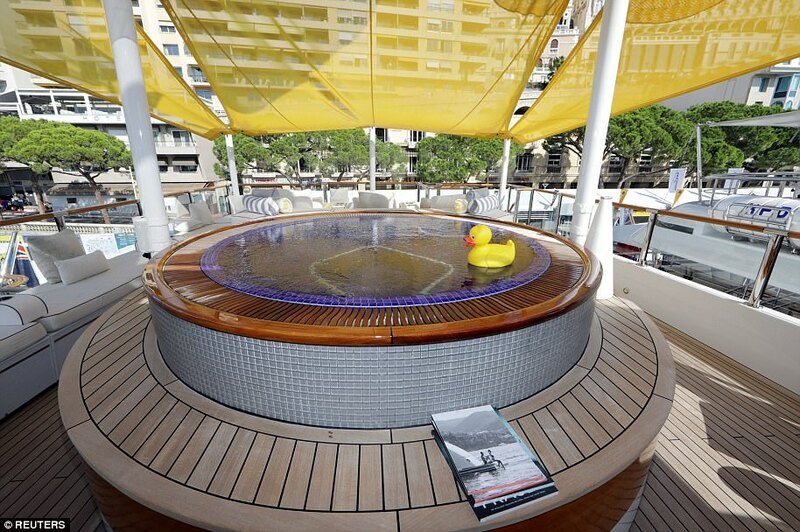 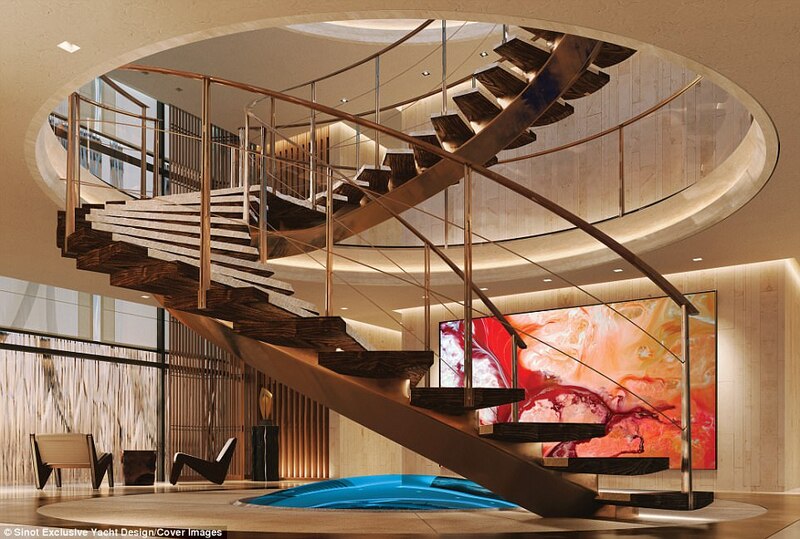 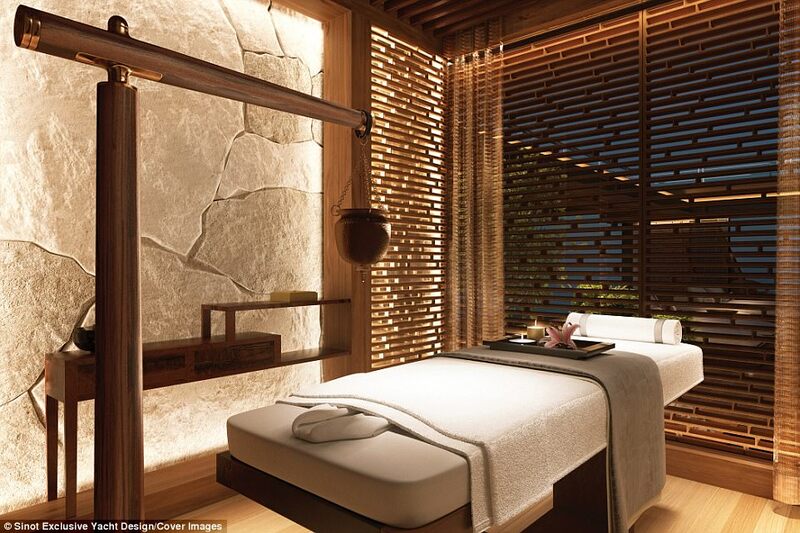 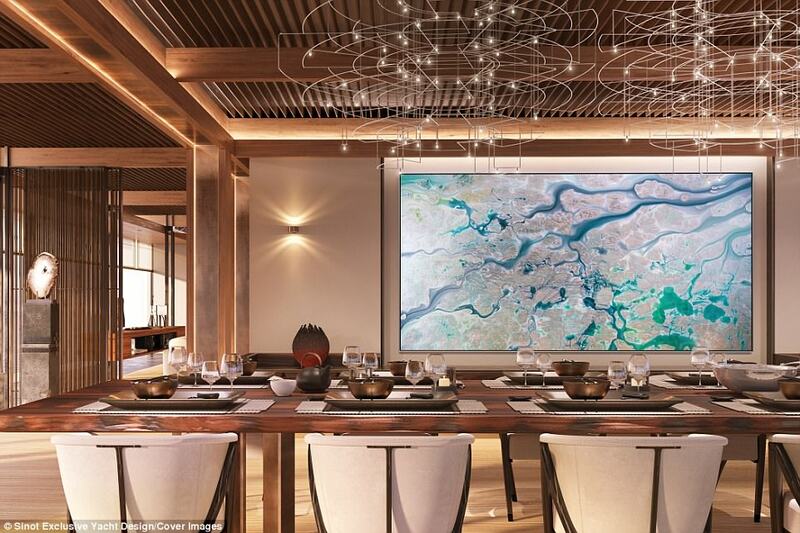 Other perks include an impressive spiral staircase in the central area, a spa, a sea-level swimming pool, a sleek roof deck and a lounge boasting floor-to-ceiling windows. 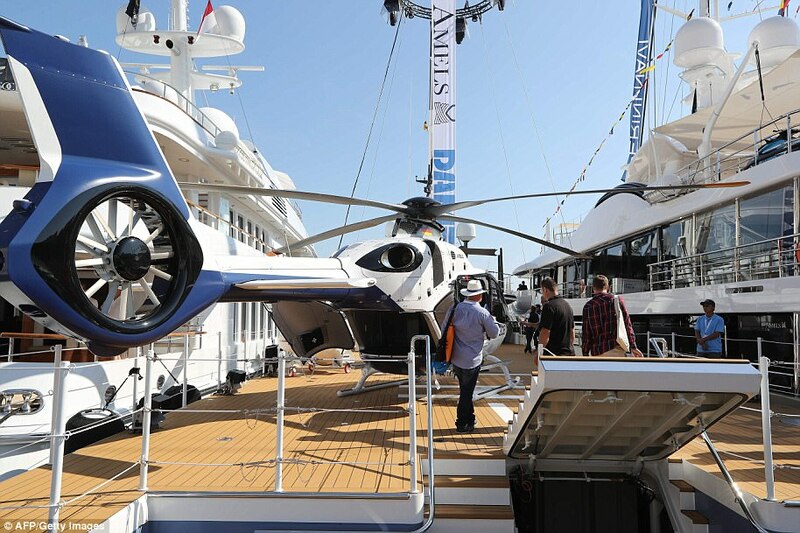 To ensure boredom doesn't strike, there are also dozens of adrenaline-pumping toys to play with including eight jet skis. 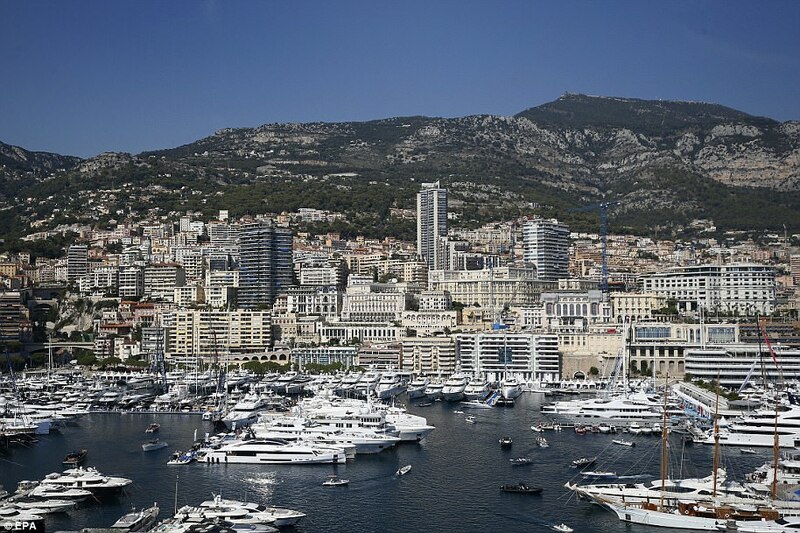 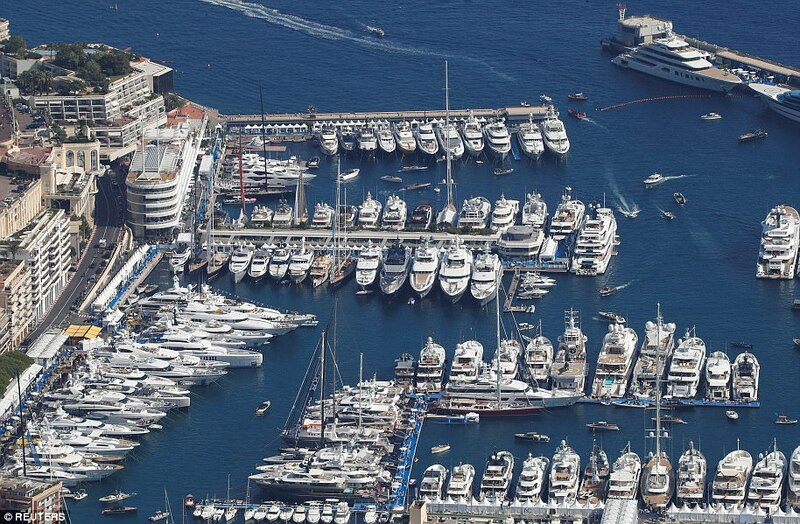 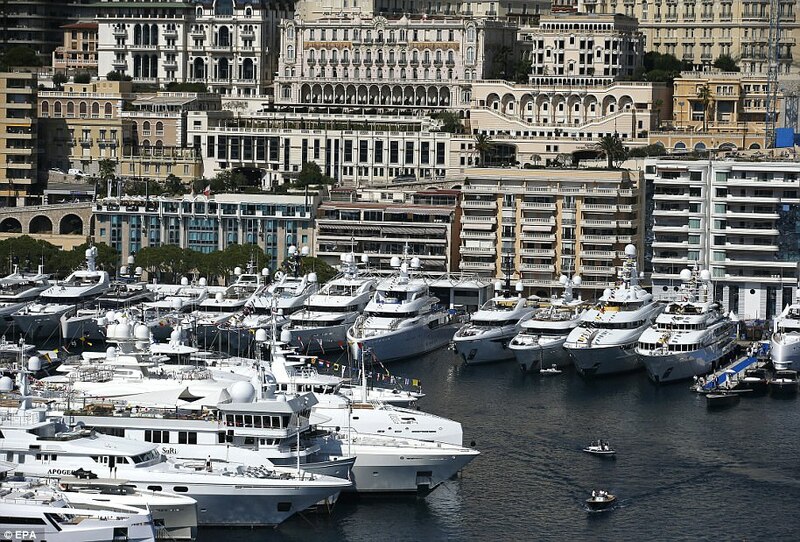 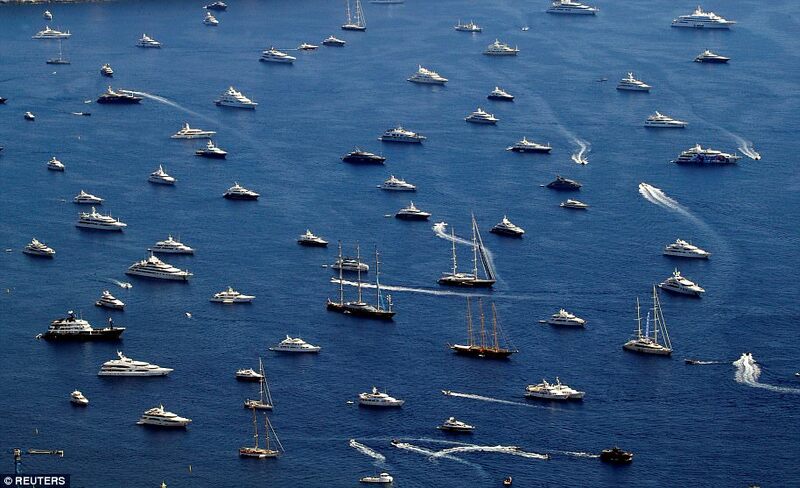 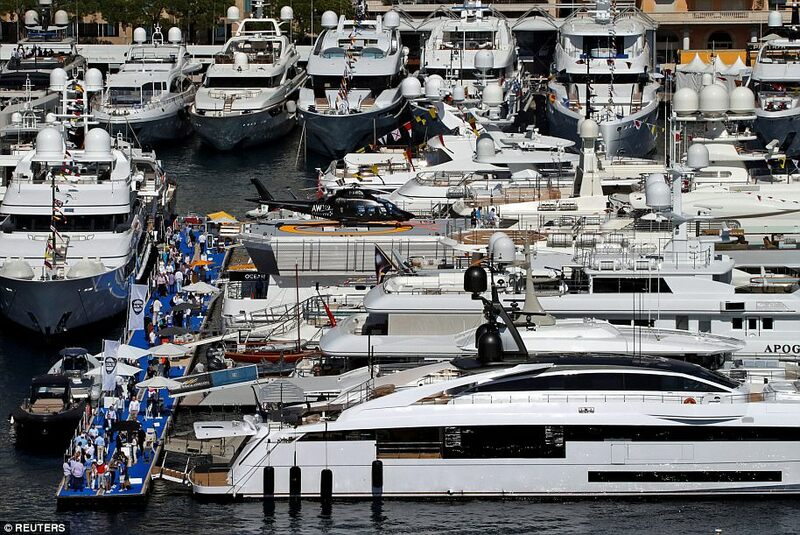 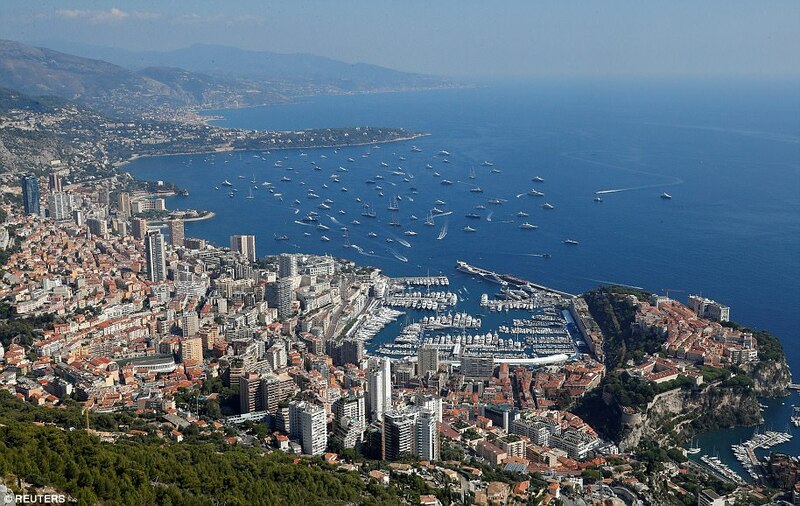 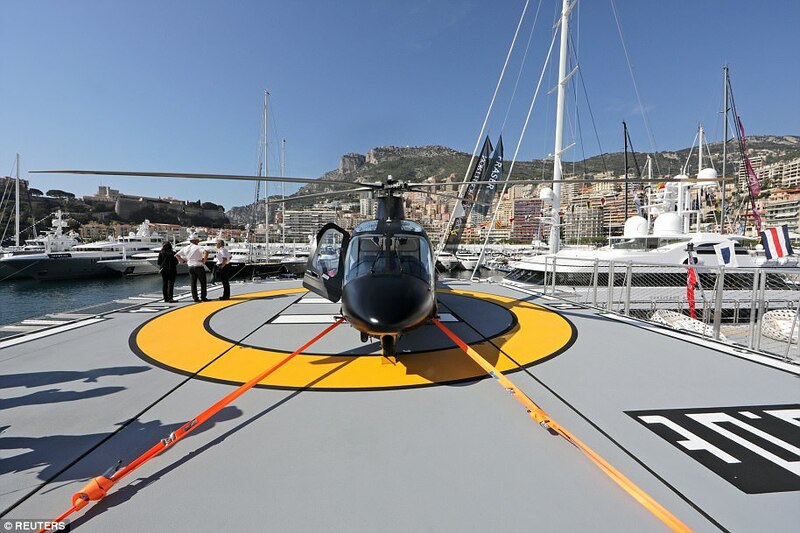 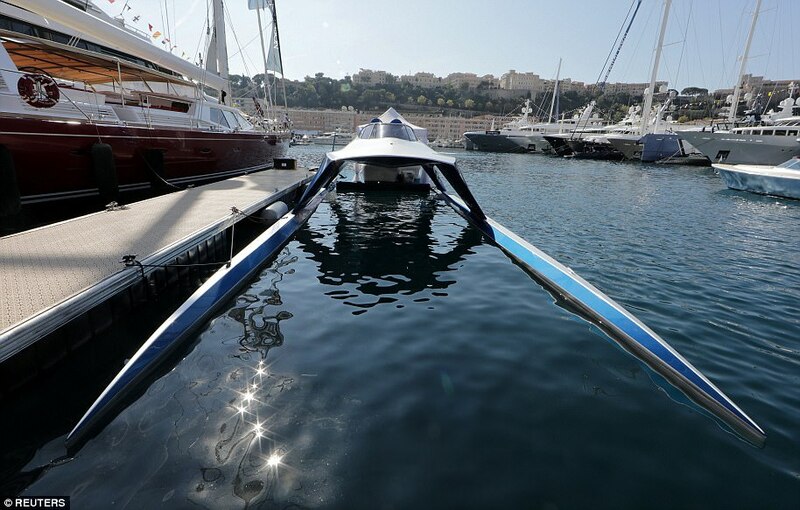 Thousands of the world's richest people have descended on the port of Monaco as dozens of the world's most expensive yachts go up for sale at the annual show. 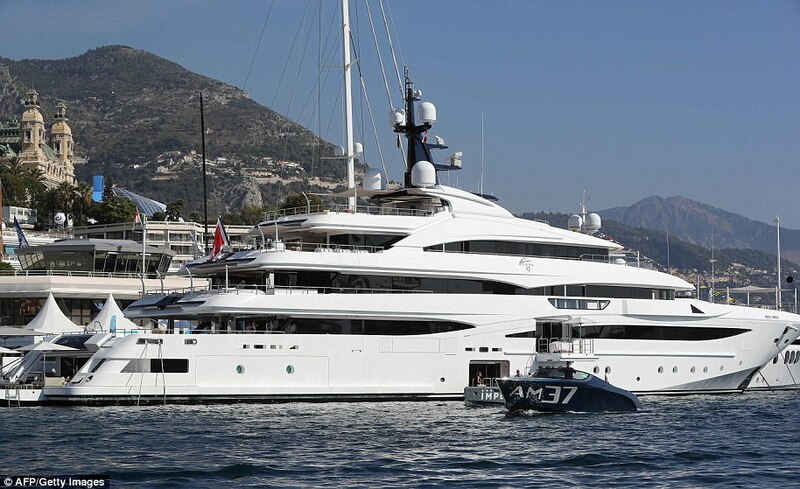 In total 125 craft with a combined value of £3billion will be on show between Wednesday and Friday, as 580 exhibitors show off the wares, hopeful of landing a lucrative purchase. 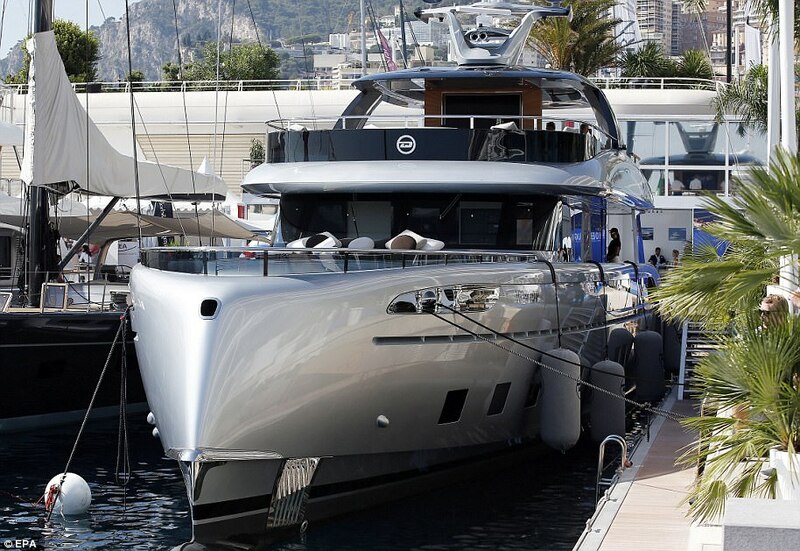 Last year, out of 109 boats, ship-makers managed to flog just 19 vessels - but with an average value of £20million the show certainly aims for quality over quantity. 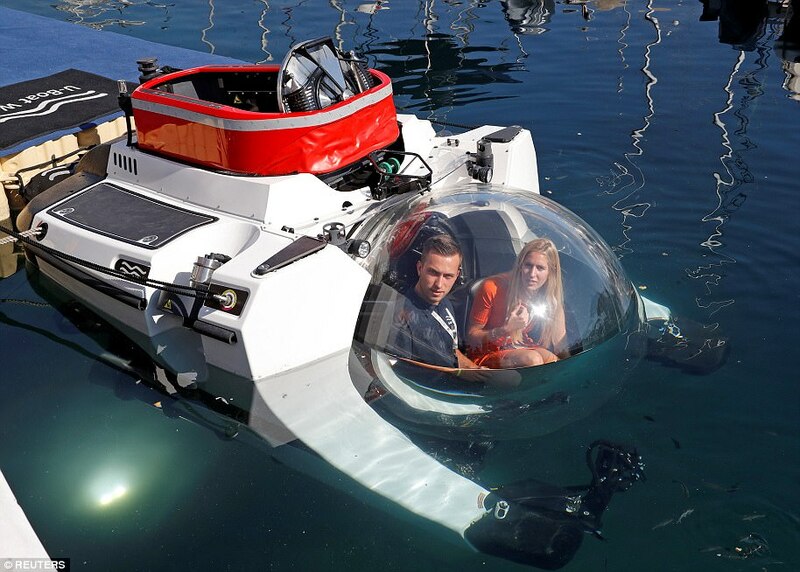 Yachts on show this year include the GTT 115, created by Porsche's design studio spin-off, the Super Yacht Sub 3, which can dive to 300m and stay submerged for 12 hours, along with two helicopters. 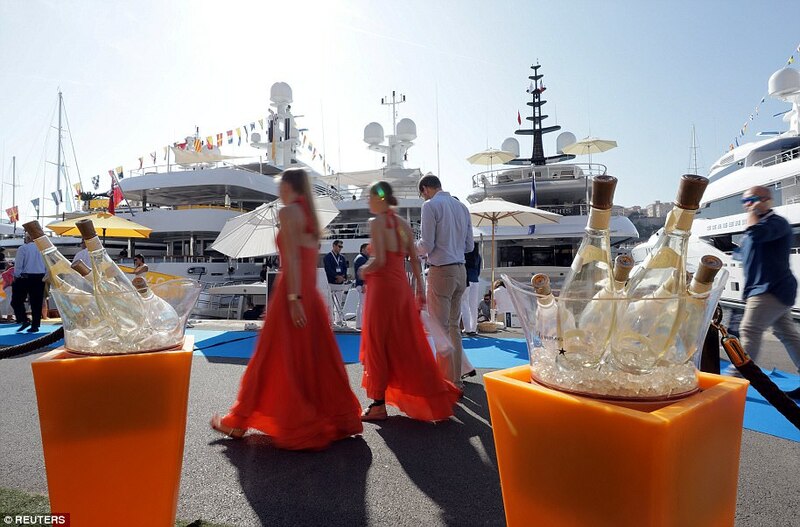 Tickets just to attend the event, described as 'the flagship event in the worldwide yachting calendar', cost £140 just for a day pass. 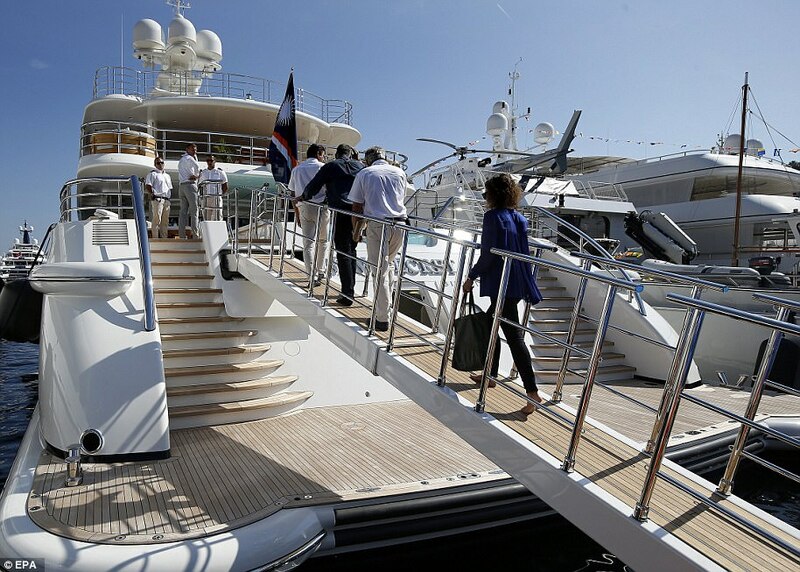 The show runs for four days, starting on Wednesday and ending on Friday. 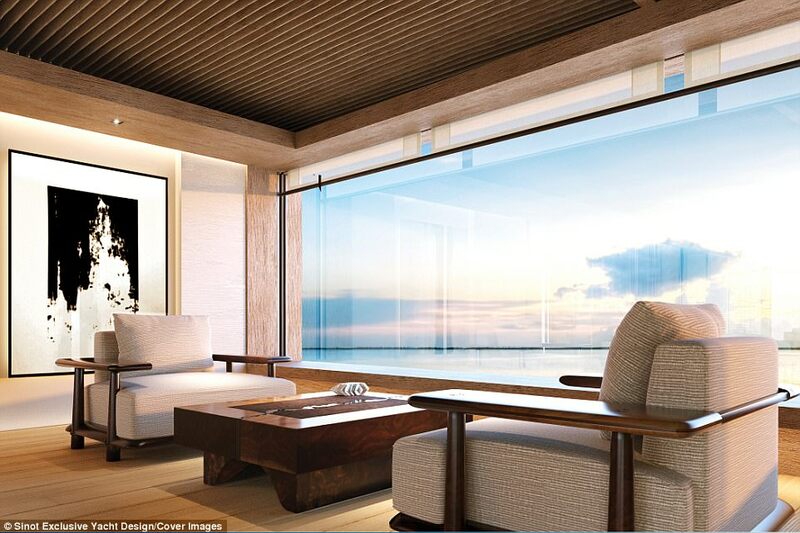 This article was originally written by Sadie Whitelocks and appeared here.